Twelve years after his death, a bit of John Inman’s memorabilia from the British sitcom Are You Being Served? is headed to auction on Tuesday, February 19. The sale will be conducted by Special Auction Services, of Thatcham, Berkshire, who expect the collection to fetch in the neighborhood of £2,000. A variety of posters of his stage shows, including one which promoted the 1977 film adaptation of Are You Being Served? Personal items, including a £1,000, 1950s gold Longines watch. 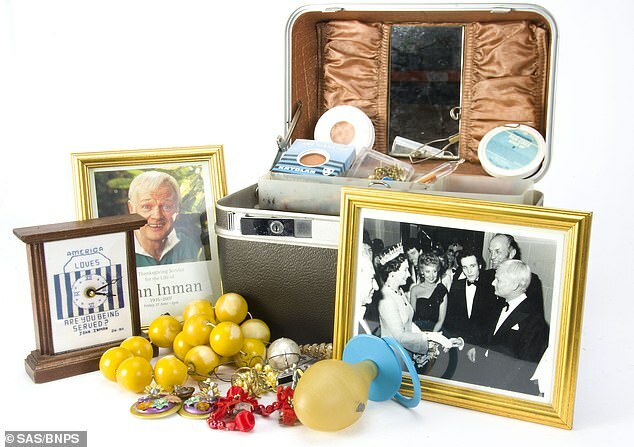 There is a whole range of memorabilia and props from John Inman’s time in Are You Being Served? and many pantomimes. He also kept hold of posters, programs and photos and it appears we went to great lengths to keep mementos of his illustrious career. 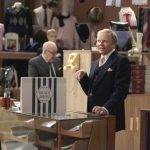 Inman was one of the biggest TV stars of his time and this auction will allow his fans to get hold of items from his estate. 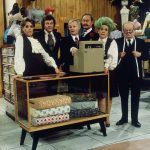 » RELATED | More stories about Are You Being Served? 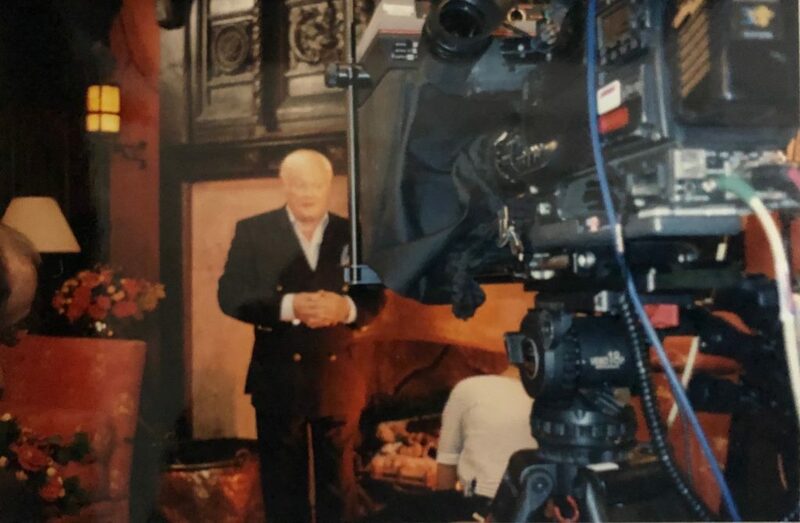 I had the great good fortune to be able to meet and interview John Inman several times over the course of the 1990s and 2000s for our PBS specials Funny Ladies of British Comedy and Funny Blokes of British Comedy. John also hosted our 2002 PBS special Celebrating Mollie Sugden: An Are You Beings Served Special, which we produced to look back on the career of one of the all-time greats in British comedy on her 80th birthday. John was an incredible trooper. 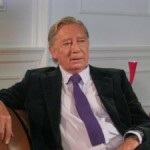 While the program was scheduled to premiere on PBS in December 2002, we filmed his hosting segments at the Gore Hotel in London during what turned out to be a very, very long hot summer. John spent the better part of an entire day standing next to a roaring fire (it was supposed to be December, you know) and flawlessly recorded his host segments even though it was the middle of July and very warm in the hotel. One bit of memorabilia that fans won’t see in the auction is one that each of us on the production crew came away with after interviewing the entire cast of Are You Being Served? 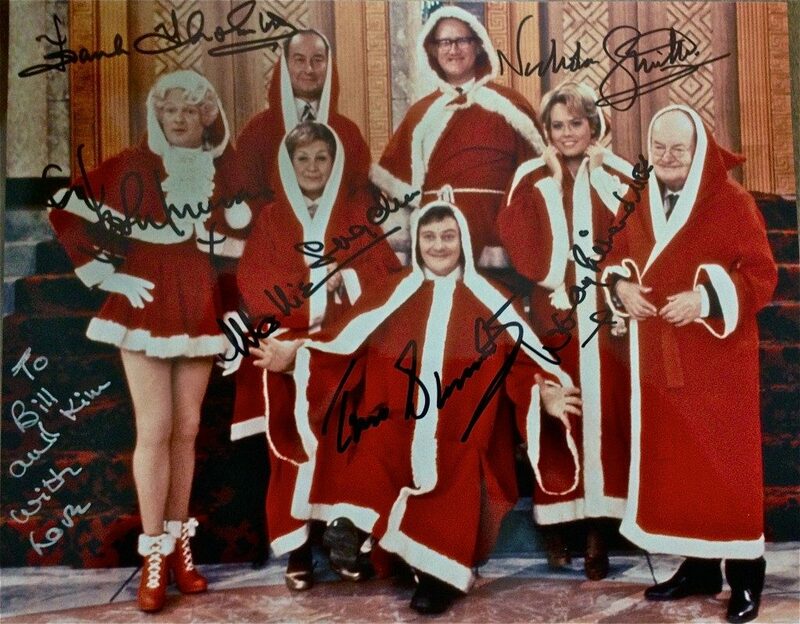 : an autographed cast photo from one of the series’ Christmas episodes, depicting each cast member in Christmas robes. John looks particularly fetching, don’t you think? According to both John and Mollie, the BBC never gave anyone in the cast this particular photo and none of them had ever seen it. Before we left that day, we made sure that John, Mollie, Wendy Richard, Nicholas Smith, Trevor Bannister and Frank Thornton all had their own autographed copies from each other to remember the day. 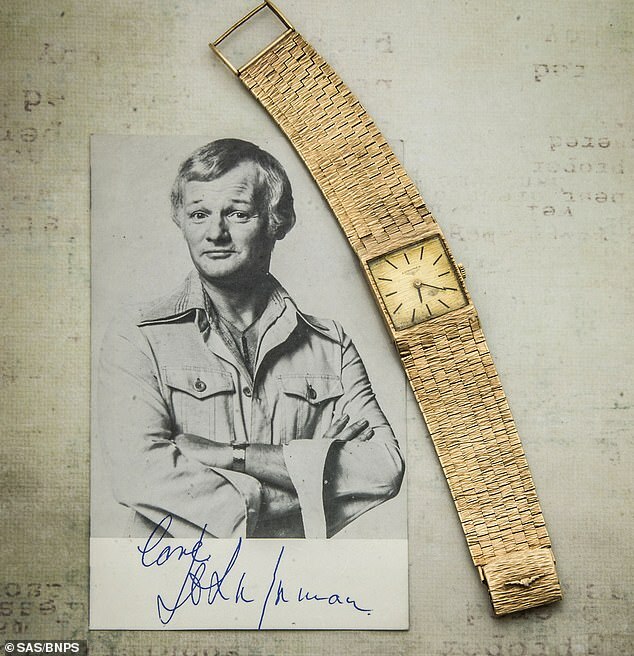 Conducted by Special Auction Services, of Thatcham, Berkshire, the John Inman memorabilia auction will take place on Tuesday, 19 February. Grace Brothers to re-open Sunday – who wants to go shopping? 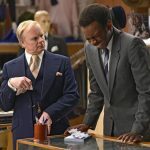 The BBC Sitcom Season is upon us…and, at first glance, it is looking good!